Puzzle Pirates Forums - View Thread - blog? Forums » List all forums » Forum: A Cask of Blog » Thread: blog? An unpleasant-sounding shortened version of the term "weB LOG", or journal kept online. SO and Diplomat of the "Werewolves"
Prince of the "Rogue Wolves"
Obsessions are the spice of life. Unpleasant? I quite like it. Say it over and over - it's fun! A Pirate says, "u know OMs are much nicer than i thought"
I think we should have kept it as, 'Log', anyone remember Ren and Stimpy? Logs are useful in all kinds of ways. ~Just crazy, wheeing, and happy. Proudly supporting Project J since 5/11, well, as long it is lemon-scented! Dreading auto-responds, "dont ask for assistance cuz im a greeter, i just did it for the pink name XD". It's made out of pixels, not wood! New Pirate Blog! From Three Rings!! Meaning no disrespect Gaea, but the term "blog" has turned my stomach since it entered the general parlance back in the 90's, and no amount of repeating it now is likely to do what ten years or more of hearing that term hasn't. It's awkward, it's clunky, it sounds like a combination of "blight" and "slog" or even worse. I can't stand it. At any rate, I have nothing against the "b" things themselves. Just... the name. Not to worry. What's in a name, after all? I dislike certain words myself - rhododendron, for one. I knew a woman named Rhododendron once. I was sympethetic except that she named her daugher Clover, which while shorter, isn't much better. Clover is better than "Geranium". Edit: Wait, nature goddess. Ahem. "I like flowers. Flowers are good." 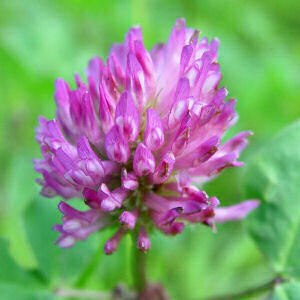 Clover has purdy flowers too! Nemo says, "Cire has figured me out..."
Well, just because you like flowers doesn't mean you have to like what your newb subjects* named them. *Pogues? Constituents? Customers? I have little experience with what nature deities call their followers. A Ghyslaine and a Rhodin for every Ocean, but mostly on Viridian. Make the natural choice for our oceans: Google Rhodin Blonde! I always figured the word 'blog' would sound *less* silly as the years went by. The only high end goals are those you set for yourself. What happens to anyone else is irrelevant. I stopped myself from posting that in this thread three times. Dmentia says, "It thrills me when Indeed is mean." SomeIdiot tells you, "I am muting you, because you're unnormal, maybe you're hurt in real life"
Quoth Rubby, "There's something wrong with your brain." I'd totally forgotten about this one till I hit random after looking at today's. I want to see a youtube video of this commercial though. I think I lubs ye. still haz da phat haiku skillz. Apollo says, "Tawnee, I should have known you were involved." "I'd like a Scone and a Blog please. No wait, hold the scone and give me two blogs. One with Jelly and one without, please!" There is nothing sweeter than making fun of those who PNT by mistake. I thought "blog" was just a portmanteau form of "blue grog", the popular pirate drink served ever year on St. Columba's Day? I am Capberry | Rumbleboy. Pax on the Cobalt ocean. We now posting our favorite weird sounding words? /me gets shivers down his spine. Please don't bump (post in and move to the top of the page, forcing the announcement of unread posts for all readers) old threads without good reason. Thanks! I won a familiar, you can too! Click here! lol reminds me of da lion king. i lub da lion king! yes i just realized its a bug killer spray. Why must people bump dead threads? I feel this is a dead thread worth bumping, just for Gaea's blog song. Gaea's blog song makes me hawt.